25 Mr and Miss Olympia Titles. 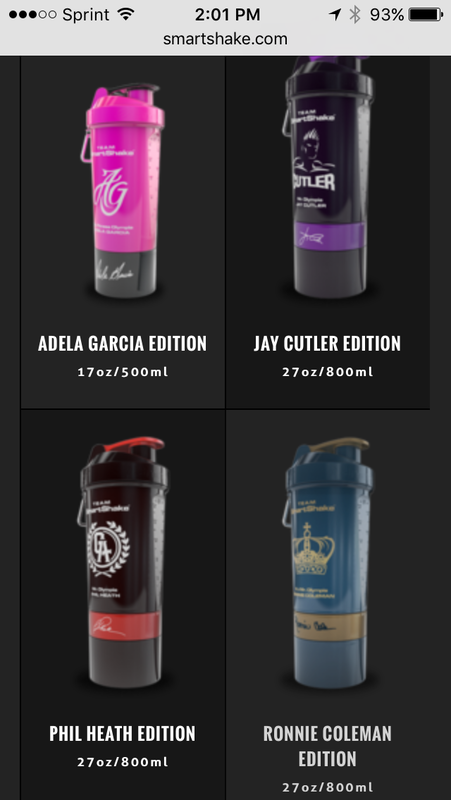 Choose a cup that the top names in the industry endorse and use. Beside the fact that it’s almost fully opaque (the middle cup is fully opaque) and it’s a glossy finish, nothing is changed at all! 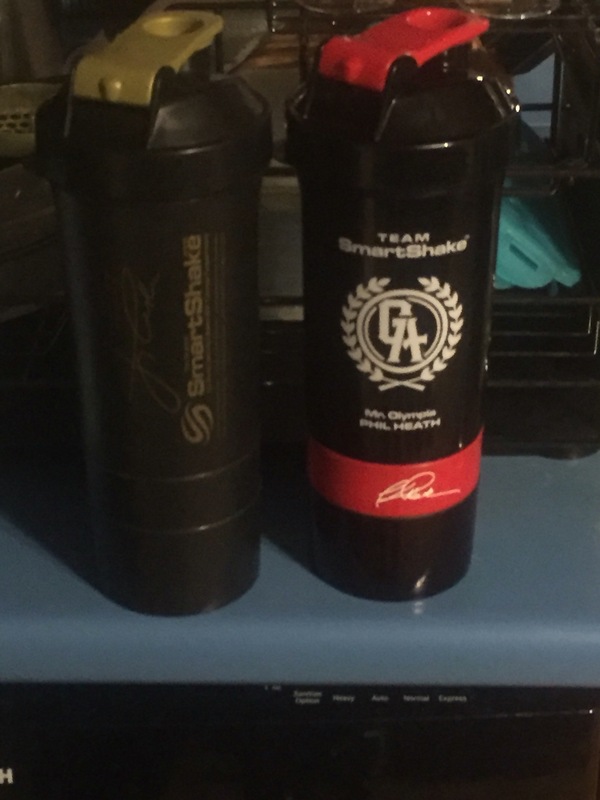 It comes with a plastic 4 way divider in the middle cup for supplements but I throw it out and use the 3rd cup for a scoop and a half of Vitargo! The aluminum carabiner clip is not dishwasher safe and will get nasty, so I throw that out also! I had a moral dilemma picking which cup I was going to pick! Red and black is my favorite colors and I like Ronnie better than Phil! 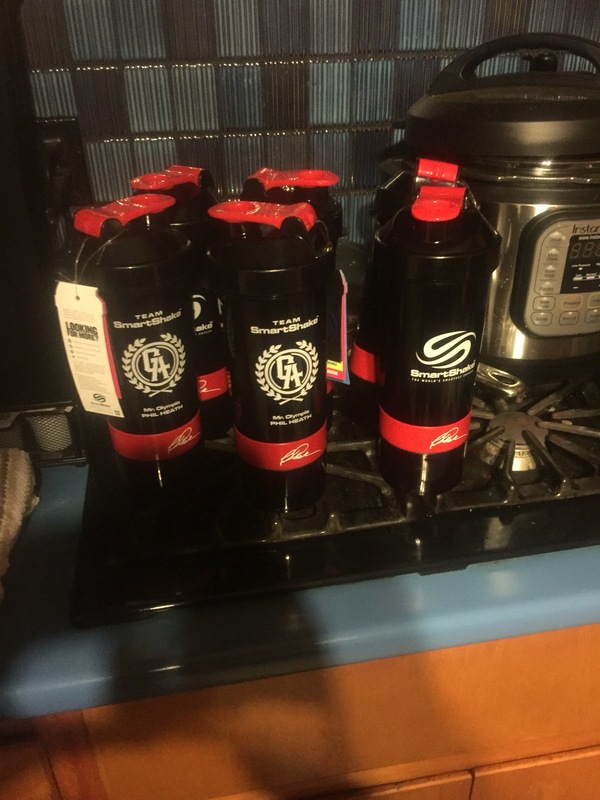 So which cup should I get? In the end red and black won out! Because; I just did not like the blue! Q: What is the good part about the lack of change? A: All the parts are interchange! And dishwasher safe! Not a whole hell of a lot! There’s nothing notable different! Buy V1 or V2 depending on the deal you get!